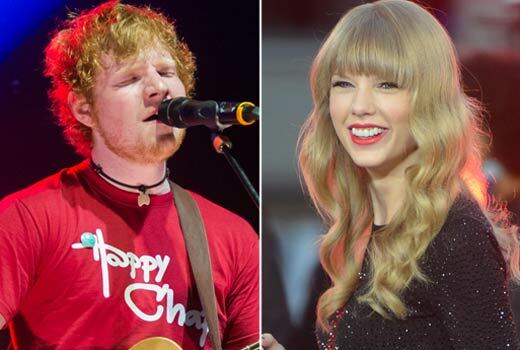 Ed Sheeran loves Taylor Swift‘s songs and has now praised the singer for her “cool” songwriting. According to Billboard, Sheeran has told them how much he adores listening to Swift’s breakup songs, but not only that, Ed thinks that being the most successful female songwriter for the last few years who writes 100% of her own hits is very inspiring. The 21-year old is currently supporting Taylor on her North American tour and being a stranger to Swift is something he definitely isn’t, having worked on her recent album for the track ‘Everything Has Changed’. The ginger fella, who has been linked to the singer in recent months tells Billboard that Tay’s music is very heartfelt and real, adding that he believes she knows what she’s doing with how she portrays people in her songs.